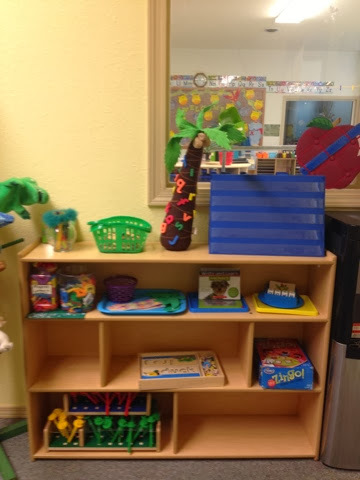 There are many different areas in a Montessori Classroom. 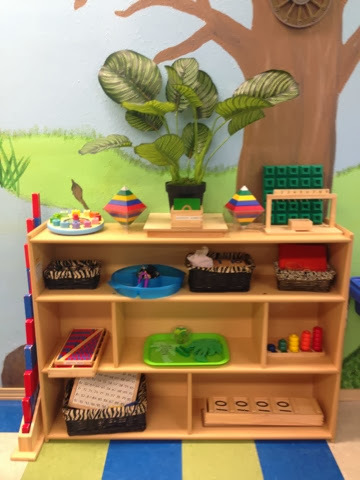 This is one of the many reasons why I love the Montessori method. 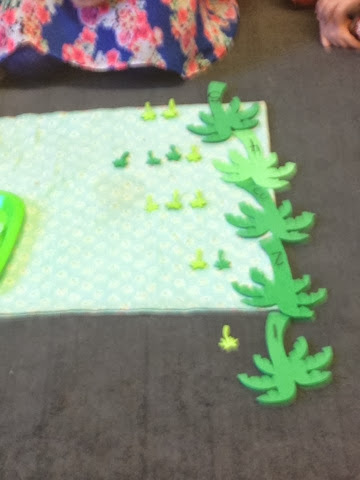 It appeals to my ADHD, multitasking brain! One of my favorite areas of the classroom is the Geography and science center. We basically have a whole room dedicated to Geography and Science at our school. Over the course of three years we will visit all 7 continents and dive into an exciting theme unit on each continent. Most of the time when we study a continent the unit goes in many different directions and takes on a life of it's own. 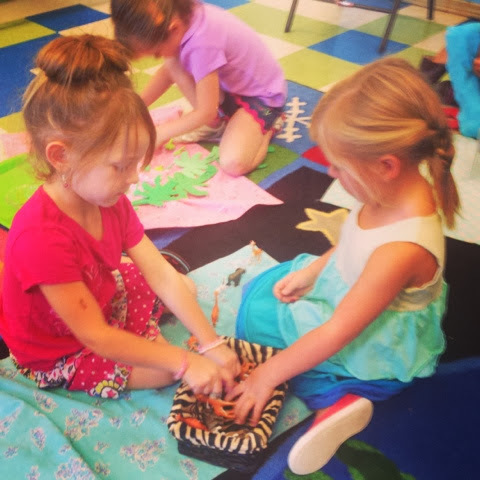 We add math, art and language extensions to our Continent studies and the children transform their works and personalize them to go along with their interests. 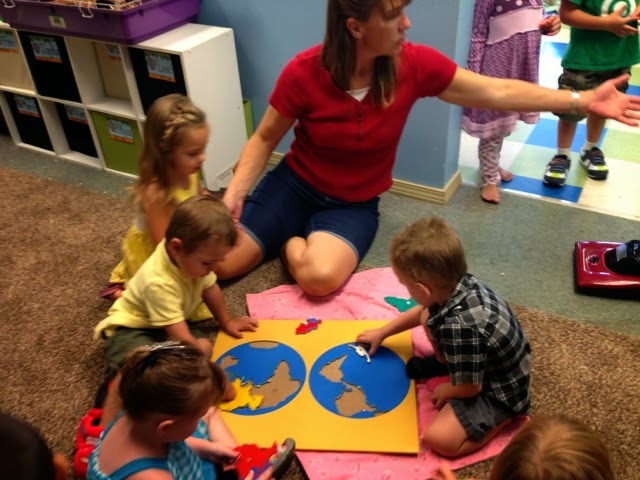 I often find that by studying geography and social studies the children are able to learn and absorb so much more based on the fact that their interest levels are so high! It is exciting to be a part of. Through out the year I will add our various continent studies and extension activities. Our first continent study of the year is Africa. We began the year by introducing all of the continents, learning the continent song and what the continents look like. 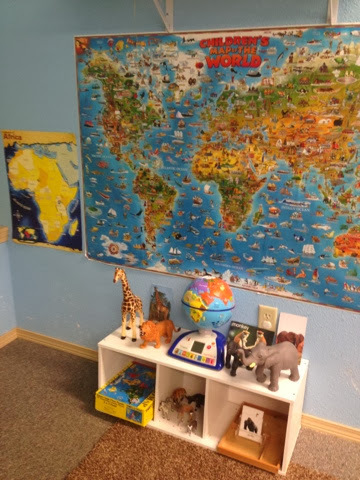 Here is our Continent map I purchased this map from www.alisonsmontessori.com along with several other Montessori supplies. Then we studied the shape and landscapes of Africa. We made a bubble map about Africa and we added more facts daily as we learned more. 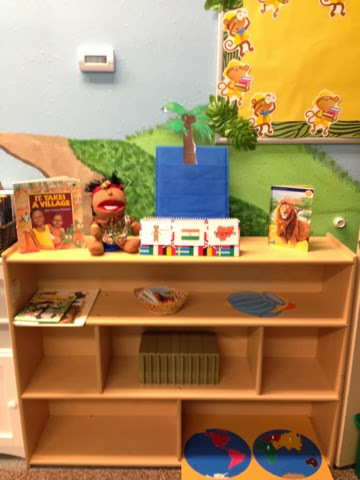 We studied the African animals because the landscapes of Africa are so diverse we discussed the different landscapes first and the habitats of different animals that lived in Africa. 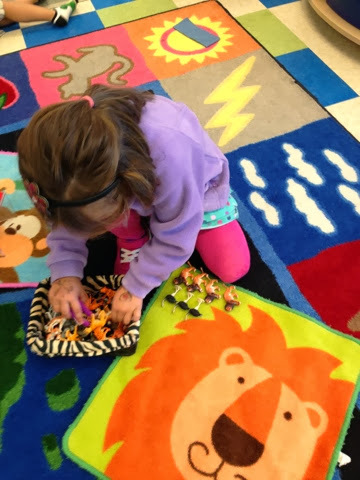 We extended our African animal studies with math works, language works and art. For language we talked about crocodiles and we had a drawing workshop to label the crocodile. 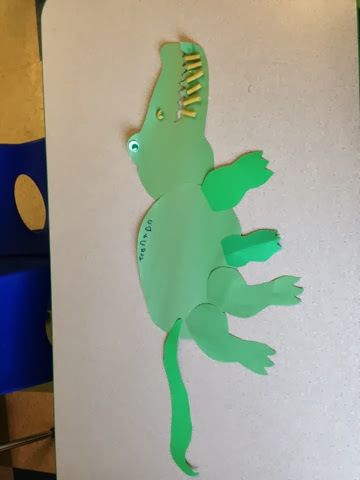 This is our Crocodile art project. Here are our different math works. 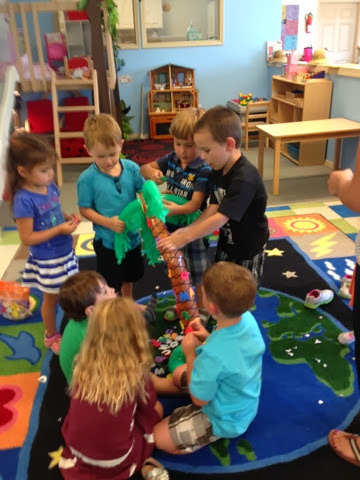 We made animal patterns, we sorted animal, we counted animals and we counted coconuts and palm trees. In our language center we had three part cards to label African animals. In Part 2 of our African Continent study I explain our ancient Egypt unit. I have missed blogging and I can't promise I will be a regular blogger but I will try to sneak it in as I can! Thanks for stopping by.